Hi everyone:) hope you all have been having a wonderful week so far. It’s been hectic lately with adjusting to this lifestyle of ours but hey it’s worth or at least it will be at the end of this all. Today, we have some tidbits and thrifty finds to share with you all. These are useful things that will come in handy when adventuring the outdoors. Camping and hiking is really all we did when we first starting dating except it was always in state parks except for one of the times, which is a funny story in itself. Long story short, we went with a group of friends and when Spiffy steps out of the tent in the middle the night he thought he saw a bear and got everyone frightened out of a dead sleep, only to find out it was our friend from a distance who had woken up herself. Needles to say we did not spot a bear and still have yet to. Anyways back to before, you’re probably thinking that’s a whole lot different way of camping than what we’re now doing…While that is the case, we did significant searching around for what we may need before jumping into things. It is crucial to have at least some kind of basic gear that suits your wants and needs. For us, we went to various stores to get ideas on what we may need. You have no clue all the things you’ll need until your out in the middle of the woods saying things like “I can’t do this without ___.” or “That ___ would come in handy right about now.” So it’s safe to say that it’s a very good idea to perhaps make a list of needs and scout out stores online as well as around you. first off, there are two different types of camping. There is “car camping” as I like to call it which is when you can take your car right to the campsite. It’s a bit like glamping but not. This is basic camping that a majority of people prefer as well as beginners. You can find many “car camping” at state parks. Here, other campers surrounding you giving you the feel of civilization while being in somewhat in the woods. You’ll have amenities such as electrical and water hook-up, and bathrooms. You then have Backpacking. The meaning is in the name itself, you have to trek up distance to a campsite with all your gear on your back while hiking, requiring more physical excursion than car camping. This brings you more options being this would be considered primitive or should I say disperse camping. This is ideal for those who do not need electrical/water hook-up. Often times this will be in a remote location but provide many more options when choosing this route. 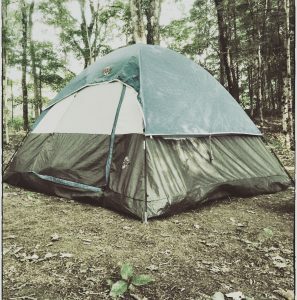 This type of camping is allowed just about anywhere in the national forests and most state forest such as Blue Ridge and Appalachian Mountains. While you may think camping is a lot of work which don’t get me wrong, it is for the most part, it’s a lot of fun just with lots of preparation. In this day and age with all the technology surrounding us, I think it’s a must. There’s no better way of unplugging when you physically cannot plug into anything. You’ll be amazed how easily you can go without and not even notice. The great thing about this pillow is that is a lightweight packable pillow that you can easily store away. It self inflates. We found these at REI when we were shopping around for other items. Ozark Sleeping bags When it comes to sleeping bags, it is important to know that there are two different kinds to buy. You have warm weather and cool weather sleeping bags. As you probably already guessed, the cool weather sleeping bags are for winter weather which are known to be heavy cotton weight and are typically categorized to resist temperatures of +10 degrees and lower. Meanwhile, warm weather sleeping bags are lightweight and breathable with the temperatures typically able to withstand +35 and higher. So just be sure to look at the label before purchasing one. The last thing you want is to be shivering cold in the middle of nowhere all because you got the wrong one. Now we did get two different kinds. Spiffy got a cool weather sleeping bag well because we were still experiencing cold temperatures at the time we started while I on the other hand got a warm weather because I new things were going to start heating up right around the corner. The brand we bought was Ozark. You can buy these at Walmart and Endure Outdoors. However is you want one of better quality, Western Mountaineering has excellent other quality brands. To the right is Spiffy’s camo cold weather sleeping bag. This is such a valuable tool to have on hand, it’s a great for multi-use not to mention, having it as a shield of protection at night is also reassuring. If any of you have any questions at all, feel free to contact us by email or by using the comment box below. Hope you have a wonderful day!!! Thank you! Do you ever go camping? Not any more, but I used to. You can also do that flashlight trick with a head lamp and a gallon of water. 🙂 Great post! All good concise, clear information.